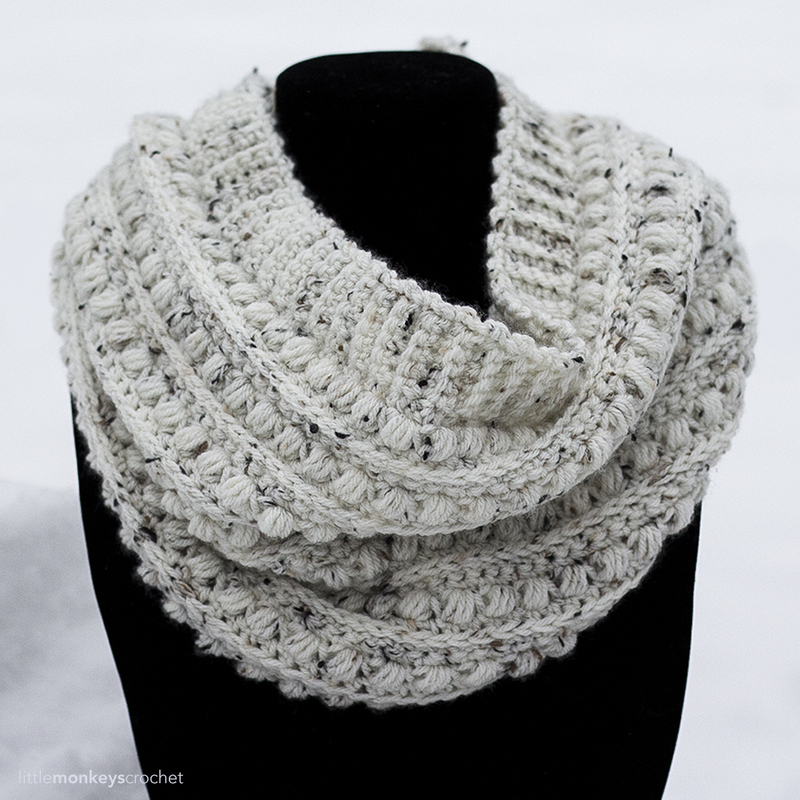 Last winter, I had the privilege of designing a cowl for All Free Crochet’s blog, Stitch & Unwind. I had a lot of fun doing it, and I am loving the final result. 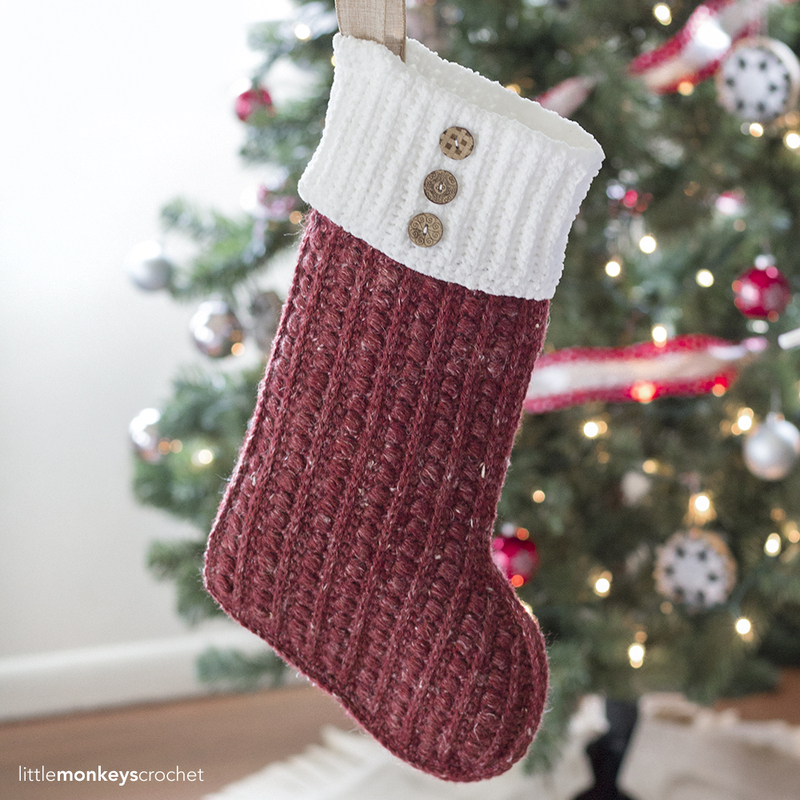 Now, the full pattern is available right here on my blog! If you would like to purchase an inexpensive, ad-free PDF version, you can find it on Etsy. It even includes the pattern for the matching cowl! So without further ado, scroll down for the pattern for the Sandy Cowl (also known as the Eggnog Cowl). 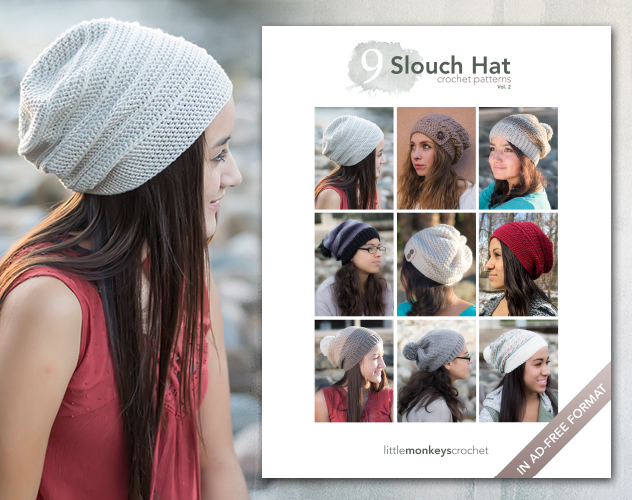 Click here to purchase an ad-free version of both the Slouch and Cowl patterns on Etsy! (2) Pattern is begun in turned rounds, then switches to a seamless round and back again. These changes are noted in the pattern. Use a stitch marker during the seamless round to keep track of your rounds. I did what you told Mona to do and I still can not print it all I got was the picture of the cowl. No instructions. I love this set.It is hassle free. Thank you for the free patterns. I love this set, but can I turn cowl into scarf? Can i just skip the sl st and sc thay joins and follow pattern turning back and forth for scarf? Could you tell me the colour? I’m in the uk and need to find a stockist. The cowl looks like it has a sheen to it. Could you please tell me what color in the heartland line you used? 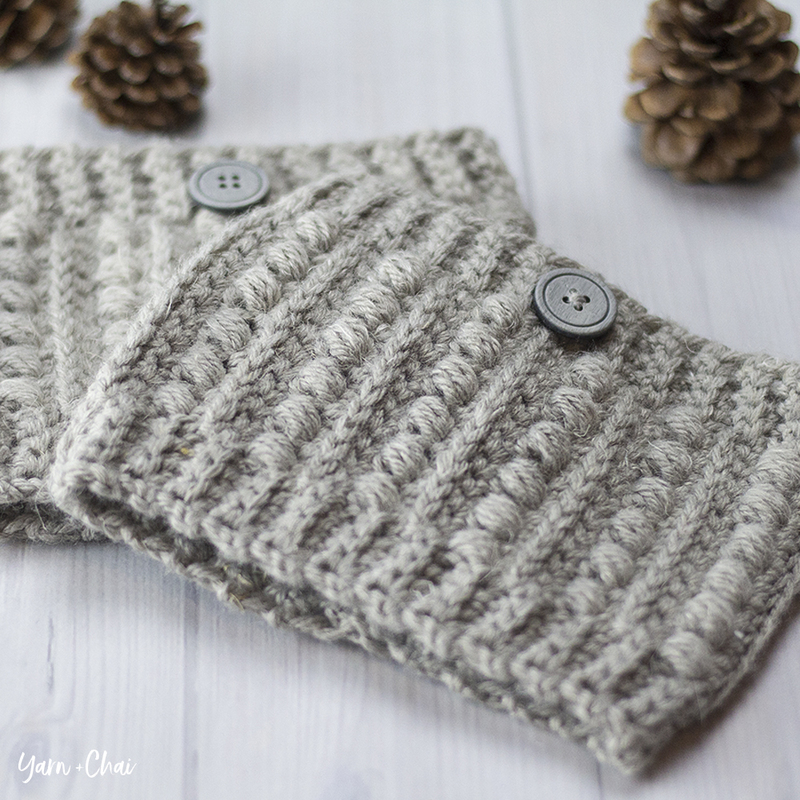 Love this cowl pattern and the color of the yarn is smashing! Thank you for sharing. This sounds like fun to make. Yours is lovely. 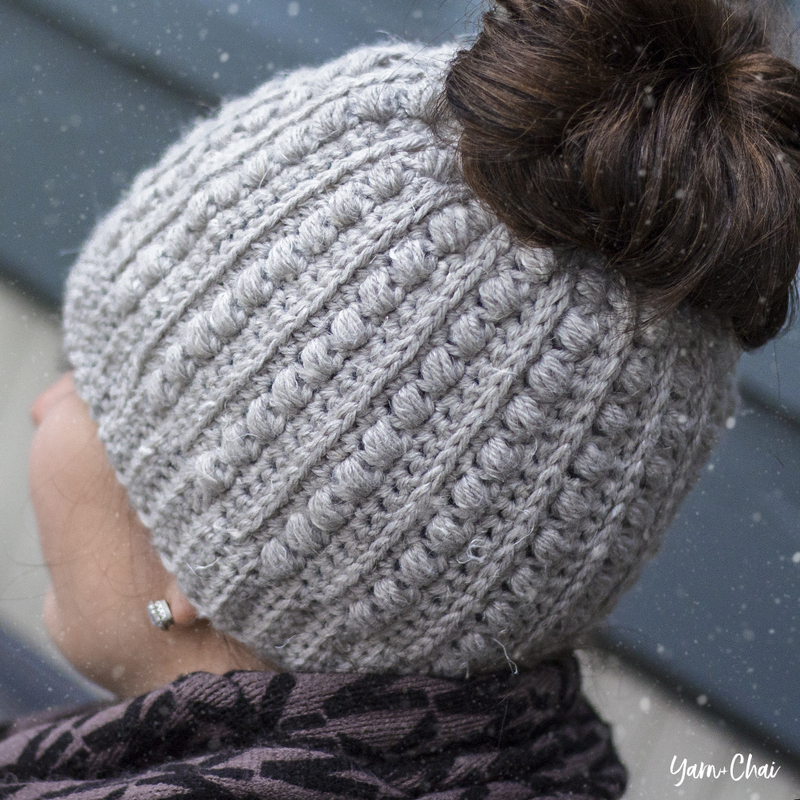 I love Heartland yarn, and this looks like another great pattern for me to try with it! Round 2 ch 1 turn? Do you mean continue ? Nope, turn 🙂 Rounds of SC have distinctly different looks when you continue without turning and when you turn each row. I’m going for the look that the latter one gives. If you want to continue without turning, the pattern will still work, it will just look different. Thank you so much for sharing your talent . I can hardly wait to make this. Can you do a video for this one, too? I feel absolutely ridiculous, trying to see how you join the ends when you SC second from hook? I’m sorry, at this point there is no video available. 🙂 You are literally bring the first SC you made around to touch the last SC you made, and joining them with a slip stitch. Be careful you don’t twist the chain. 🙂 thanks for replying, I got it going. It just looked funky with just the chain. I guess I was over thinking it! Thank you again! Rebecca, my apologies for a novice question but, when joining the round (at the end of round 1) that top set of stitches is left loose, yes? Or am I doing something wrong? That part confuses me as I’m not sure how that is finished off. I’m used to seeing the chain joined before adding the SC. It’s such a beautiful scarf and I was so excited to be able to make it for my daughter’s friend. Any pictures of this anywhere, by chance? Many patterns ask you to join after chaining, which may be what threw you off? I wait to join until the first round is complete because it’s so much easier to avoid accidentally twisting the cowl when you’re working with a row of SCs, than when you only have a long chain. Is there a matching pattern for flip mittens or gloves? Many thanks for cowl pattern. Looks fab! Love the cowl!! Need to shop for the yarn, perfect for the pattern. Thank you. Need to make this for myself! love this pattern (and that I can buy an ad-free version.) I made two fir Christmas gifts. They look nice and work up quickly! I love the entire Sandy collection. But the cowl is my favorite. It has such gorgeous texture (are all crocheters “touches??) I touch everything in stores just to get the “feel” of them. This looks so soft and smooshy. I’m definitely making this for me… After I make it for at least one of my daughters…maybe all 3! this is the first pattern I used from your page and one that I repeat often. Comes together quick! What a gorgeous pattern! Thank you! Made this cowl over the weekend. Love how it is finished on both ends and it lays beautifully. i like the look of this pattern. It is very cosy and stylish. I have to make this one. Looks like a nice easy pattern and looks pretty too. This is my favorite pattern because I love the texture/chunkiness of it! I love this pattern. It works up so quickly. I made two of these. The first one was a Christmas present for my daughter. The second was for myself. Thank you. I feel really stupid, as no one else asked this question. What does SK stand for? I am confused with the first row when stated that to sc and turn? Can you do a demo on that for me. Rebecca, I really love your pattern! Beautiful! I would like to be able to drape the cowl around my neck three times which would mean I need to make a longer chain; would the multiples be 2 + 1? Thank you for sharing your talents! Im going to try this Cowl skarf will let you know how it turned out thankyou for the Pattern. I love all your patterns and videos. I’ve made two malia scarves and love the ease of the pattern. I have just learned to crochet this past year so your videos are very helpful and easy to follow. I’m having trouble figuring out how to work a seamless round and wondered if. You have a video for this or any suggestions for one? Thank you so much I look forward to hearing from you!